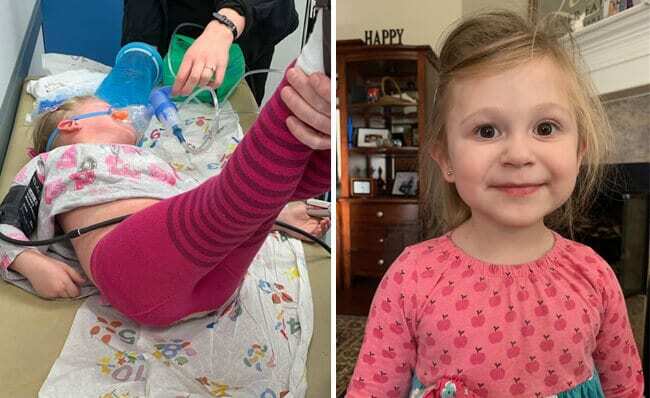 A mother’s warning is going viral this week after her toddler’s mild allergic reaction to cashews, quickly turned into a scary reminder about life-threatening food allergies. It all started when Julie Berghaus took her daughter Maren to the doctor earlier this month for a controlled tree nut challenge to determine whether or not the 3-year-old has a specific allergy. Julie says the doctor gave Maren one tenth of a cashew. ONE TENTH. The family was aware of Maren’s allergies to some nuts, but she’d never eaten a cashew before. 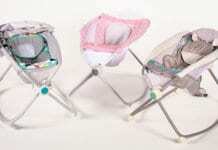 Thankfully, the first time she did, it was in a controlled setting under doctor’s supervision. At first, it seemed that Maren was having a mild reaction. 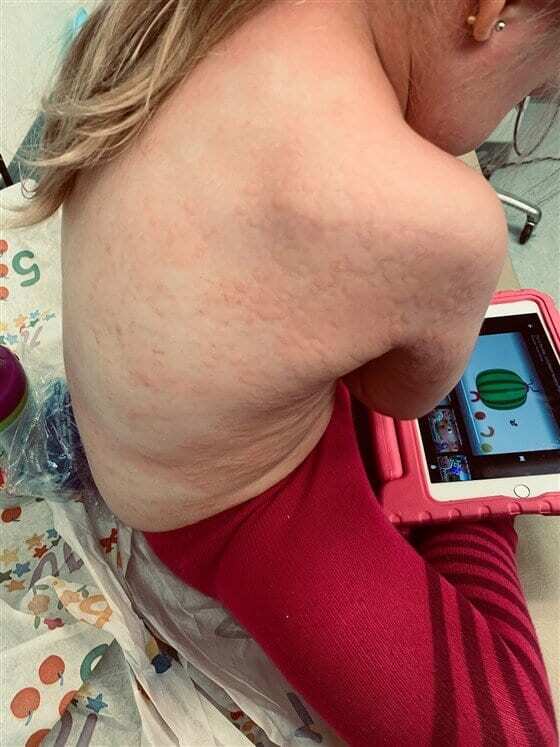 Within five minutes she had itchy ears, but Julie says her daughter was “perfectly happy” and continued to play games on her tablet. Shortly after, she began to complain about a belly ache, and started itching all over. Though there was no rash present, the two symptoms were enough for medical staff gave her an epinephrine shot and a Zyrtec pill to be safe. It was a move that Julie believes made all the difference. For about 10 minutes, Maren seemed to be fine. But in an instant, everything changed. Upon inspection, her entire body was quickly breaking out in severe hives before our very eyes. She quickly became covered in huge hives. The hives were followed by the development of a cough, but no wheezing. Still, the nurse confirmed that Maren was struggling to breathe. 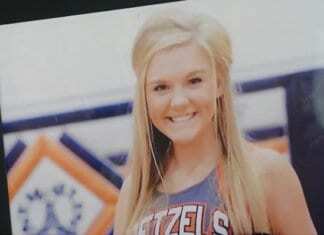 They soon realized she was experiencing anaphylaxis — an extreme, potentially fatal allergic reaction which can occur suddenly — within seconds or minutes of exposure to an allergen. Symptoms include a skin rash, nausea, vomiting, difficulty breathing, and shock. If not treated right away, usually with epinephrine, it can result in unconsciousness or death. Doctors gave Maren a shot of prednisolone and continued to monitor her. Not five minutes later, everything changed. 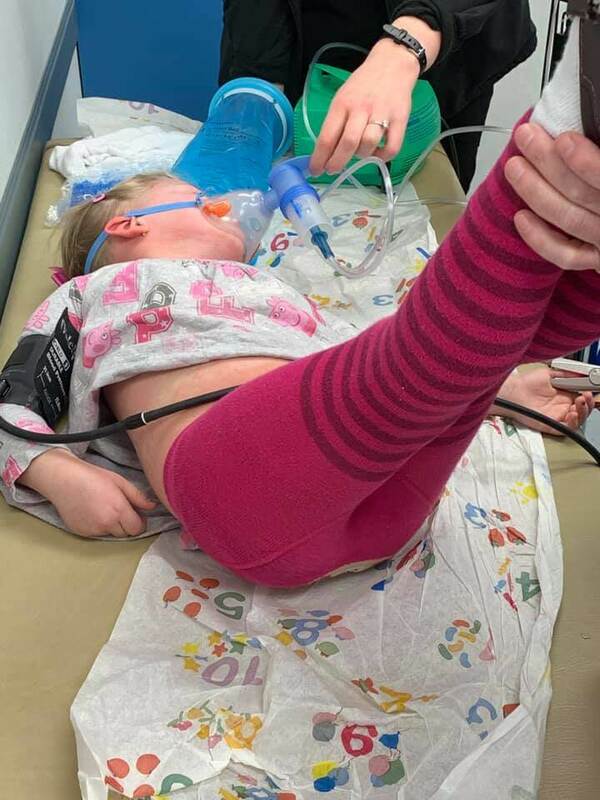 “They laid her down quickly, and she then started blacking out,” Julie writes in her now-viral Facebook post which been shared over 87,000 times. 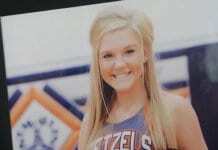 Staff knew she was having a serious reaction and gave her albuterol, another epinephrine shot and a steroid. 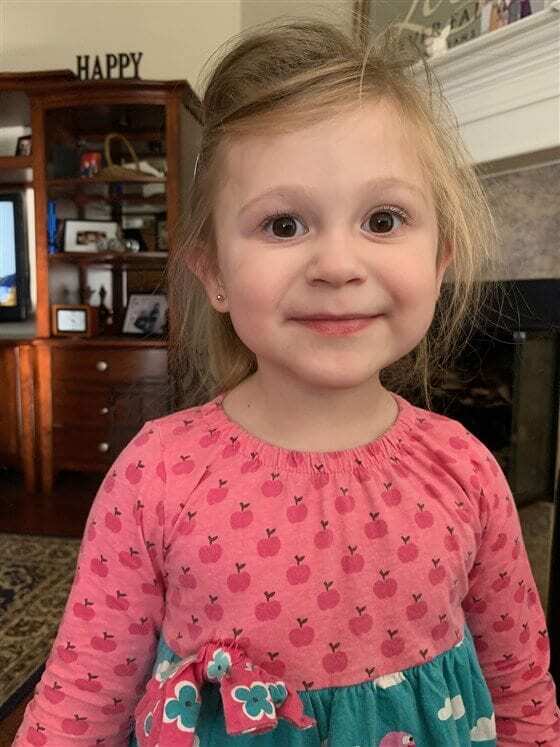 It took about 10 minutes to get Maren “out of that dangerous zone,” but Julie says her daughter had to be monitored for several hours after the initial reaction because anaphylaxis can return just as quickly for a second round. Julie, who used to work as an operating room nurse, had never seen anyone react to an allergen the way Maren did. Reading Julie’s story, I can’t help but think about what could have happened had Maren eaten a cashew outside of the doctor’s office. She watched how one tenth of a cashew literally became a toxic bomb inside of her daughter’s body within minutes. That precious time could mean the difference between life and death for so many. Julie says she’s sharing their experience in hopes that it would educate others—those with food allergies, and those who care for people with food allergies — of the precautions to take. She stresses that people need to be mindful of what foods they eat around those with food allergies, and that administering an EpiPen is always one of the best decisions you can make if you suspect someone is having an allergic reaction. Julie also wants people to note that even expired EpiPens are better than no epi. Maren is doing just fine, and Julie says she wasn’t hardly phased by the experience at all. Still, she saw just how quickly her daughter could have lost her life under different circumstances. Several people took to the comments reminding others that allergic reactions are not predictable, and most rarely show up in the same fashion twice. It’s a major lesson in the dangers of food allergies, and a reminder that we all play a role in spreading awareness.